This self-contained, 1,500 sq. ft. ground and lower ground floor suite is located on Red Lion Street, between Theobald’s Road and Lamb’s Conduit Passage, close to Holborn Station. The suite benefits from frontage on to Red Lion Street providing excellent branding opportunities and has recently been refurbished to offer meeting rooms, air conditioning and demised W/Cs. The property is also located moments from Chancery Lane underground stations, benefitting from all the amenities on High Holborn, Theobalds Road and even Covent Garden. 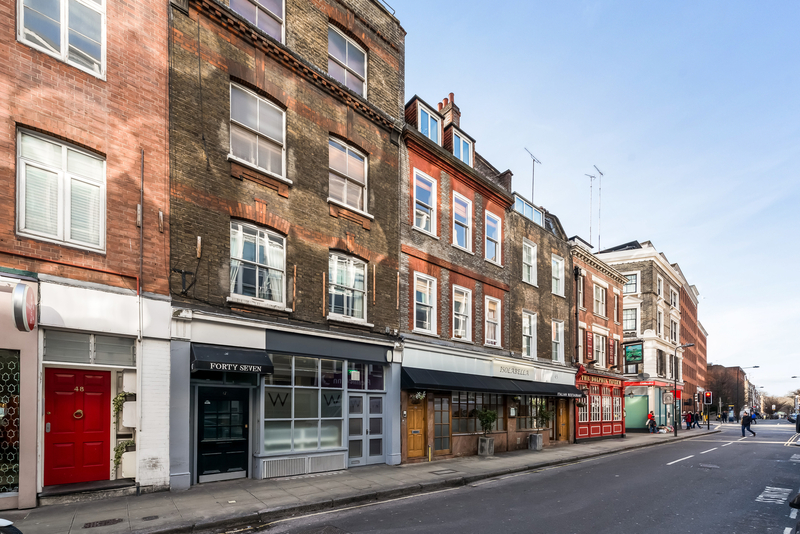 47 Red Lion Street is available for rent for £38.00 per sq. ft – to arrange a viewing, please click here.